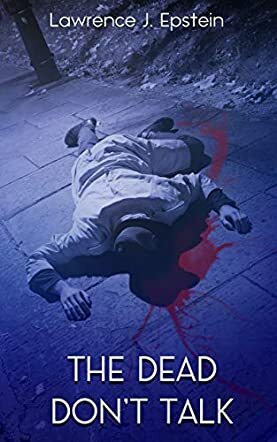 The Dead Don't Talk is a murder mystery novel written by Lawrence J. Epstein. Danny Ryle’s official employment was as the speech writer for Congressman James Foster Myles, whose headquarters were located in downtown Port Jefferson Station, but Danny really worked as a fixer, both for the congressman and for any of his friends who needed jobs done -- like transporting a body for burial in a potato field out on Eastern Long Island. Danny spent his life trying to rid himself of the shadow cast by his professional hit man dad, but all his efforts seemed to make few inroads. When he came into work that morning, the office manager was fuming at his twenty-minutes tardiness. The congressman and his guest were waiting for Danny, an unforgivable event according to Ennis, the ex-Marine turned chief of staff. Rabbi Benjamin London was a long-time friend of the congressman, and he had only a few months left to live. He wanted Danny to investigate a cold case concerning the eighteen-month-old murder of Rabbi Gerald Siegel. London, now the Senior Rabbi in Siegel’s place, was his assistant at the time. The police had never been able to solve the crime, and Rabbi London hoped to see it resolved before he died. Lawrence J. Epstein’s murder mystery novel, The Dead Don't Talk, is a dark and marvelous private sleuth mystery. Epstein’s characters, particularly Danny Ryle and his hit man dad, are well defined and compelling, and his plot works so well on a number of levels. Anyone who’s ever lived on or visited Long Island will delight in revisiting Old Field, Setauket and Port Jeff Station, and following Danny as he does just that was most entertaining indeed. Epstein’s murder mystery comes complete with red herrings for the armchair sleuth to ponder over, and his story smoothly blends the noir, political and hard-boiled detective genres. I had a grand time reading The Dead Don't Talk and most highly recommend it.